Later that evening, as I sit at the deck of our artistically designed lodge watching monkeys imitate me and brightly colored birds fly into the fading light, Maulie explains how almost every village in Sri Lanka has a large village lake, locally called “tank”. Besides bathing and washing, these tanks form the backbone of Sri Lanka’s irrigation system. They were made decades ago, by naturally compressing the ground and building a barn around; a task that would take over 1,000 men today. 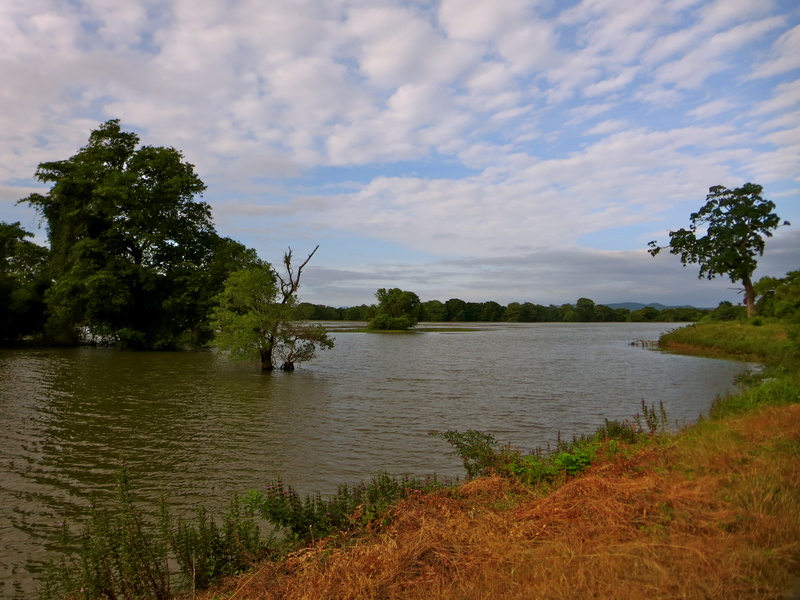 The village tank (lake) at Galkadawala. In a country where tourism has just started to take shape, it’s not easy to find something that’s not a relatively new luxury resort or a sub-standard budget hotel. So we consider ourselves extremely lucky to have stumbled upon Maulie’s abode in the village of Galkadawala, after pouring in hours of research on Google. Our forest abode at Galkadawala. Seven years ago, when Sri Lanka was still torn by civil war, Maulie quit her job in the garment industry and bought a barren piece of land in this part of north central Sri Lanka. I needed to get away from it all and do something more meaningful, she said, reminding me of my own decision to bid goodbye to the corporate world. Looking at the lush forest around, I find it almost impossible to believe it was once barren, but Maulie has photographs for proof. She goes on to tell us about her adventures in unknown parts of Sri Lanka, the mountain caves she’s spent adventurous nights in, the waterfalls she’s walked across, and a beautiful childhood in the suburbs of Colombo and Kandy. We feast on the most delicious Sri Lankan food that night, and can almost tell that it’s been cooked with ingredients grown here in this oasis; for dinner is a cucumber curry slow-cooked for four hours, served with hoppers aka appam. The moon casts a haunting glow on the recycled timbre panels and the carved old doors which make up our rustic forest lodge, and back in our room, a gentle breeze, the croaking of frogs, and the sounds of the night keep us company. When I wake up at midnight in search of water, I see a furry little creature crawling across the floor and coax myself back to bed! 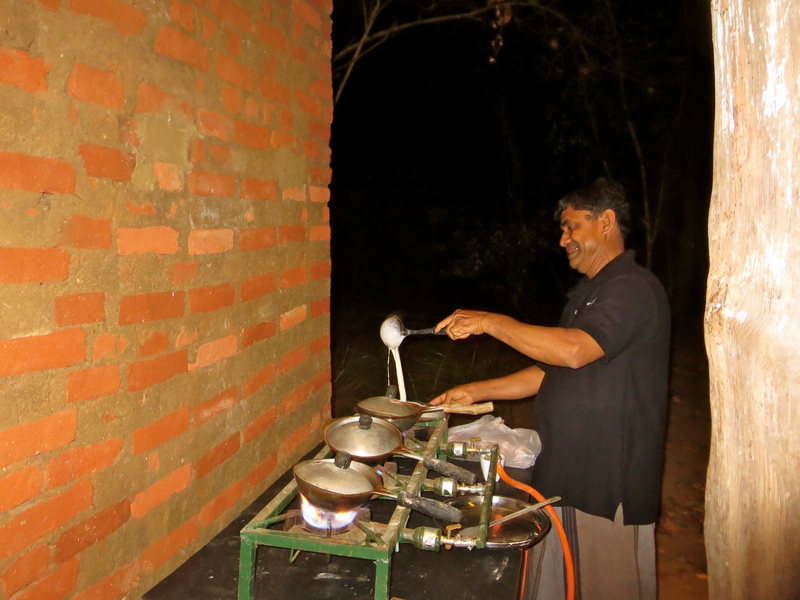 Hoppers / Appams being cooked by Vir Singha. 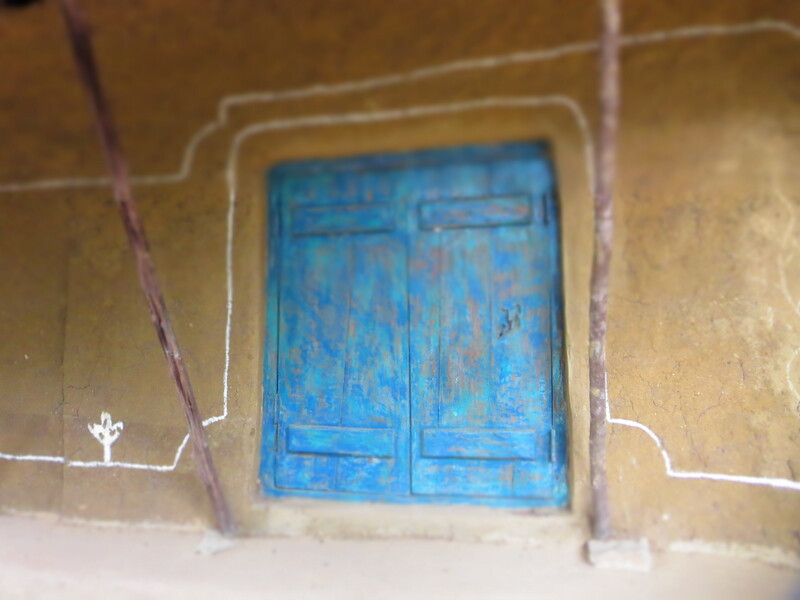 Charming old carved doors and windows at Galkadawala Forest Lodge. 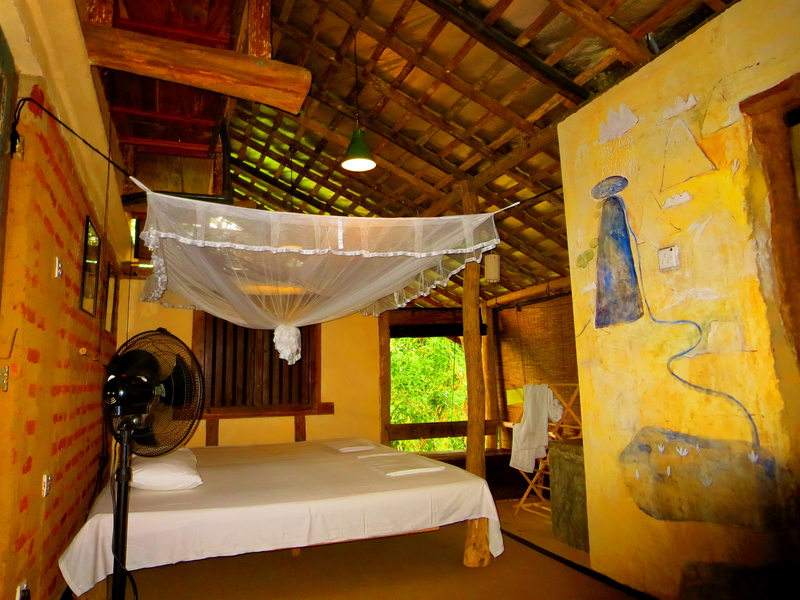 Our cozy room at Galkadawala Forest Lodge. An orchestra of birds wakes us up early the next morning, a welcome change from the shrill sounds of the alarm clock. Up at the deck, I watch the mist rise from the village lake (tank), and envy how Maulie starts her every day. Then I lie on a hammock, watching a giant squirrel scramble from branch to branch, nibbling on whatever it can find. Butterflies dance over my head, and yellow and orange colored birds fly around. It feels as though nature planned this show for me, and I continue to watch in starry-eyed wonder, until the cooling breeze gently rocks me back to sleep. 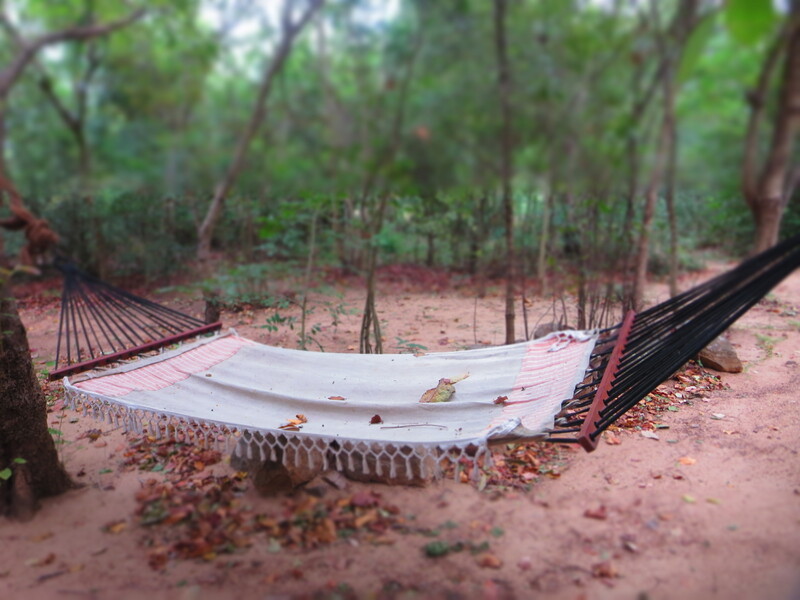 I could lie on that hammock all day long. 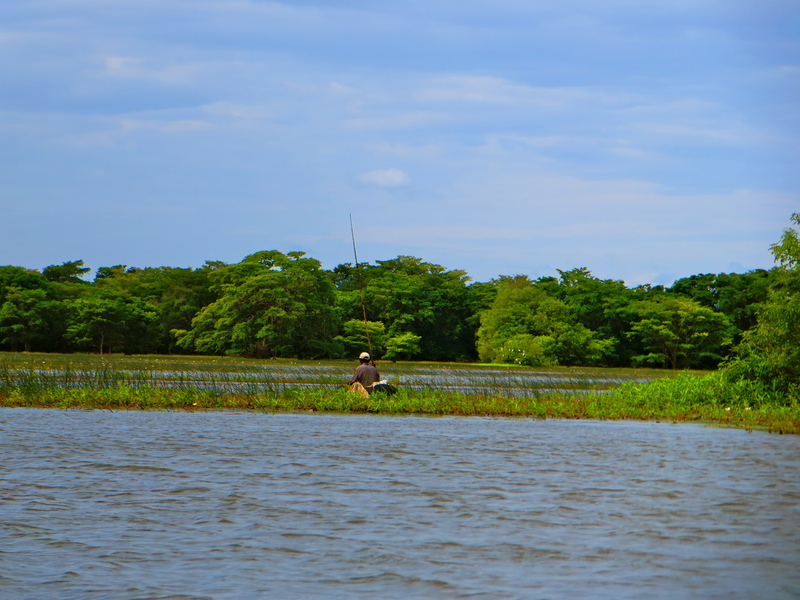 We revisit the tank that morning, this time with a kayak and paddles, and row past fishermen, floating weeds and white lotus flowers. The current is strong and often pushes us all the way to the shore, but we manage to stay afloat each time, driven by the fear of falling prey to a crocodile right in the middle of the lake! We hike through the surrounding wilderness, barren and parched on the leeward side, lush green and mucky on the other. 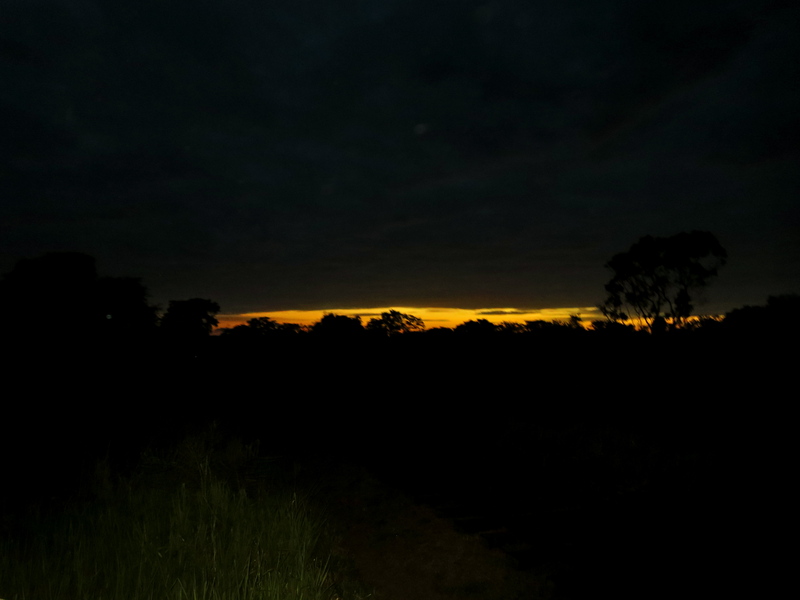 We drive along the rice paddies and railway tracks in the village at sunset, the fiery sky gently reminding me of the conviction it must have taken Maulie to make Galkadawala the oasis that it is today. The sky at sunset, over the rail tracks of Galkadawala. How to reach Galkadawala: The nearest big town is Habarana, with frequent buses to Colombo and Kandy. From Habarana, Galkadawala is a short drive by tuk tuk (three wheeler). The village is also located in the centre of Sri Lanka’s cultural triangle, an hour’s drive from Dimbulla. Best time to visit Galkadawala: Round the year! When I visited in end June, Habarana was extremely hot, but the green oasis that is Galkadawala stayed cool and breezy. 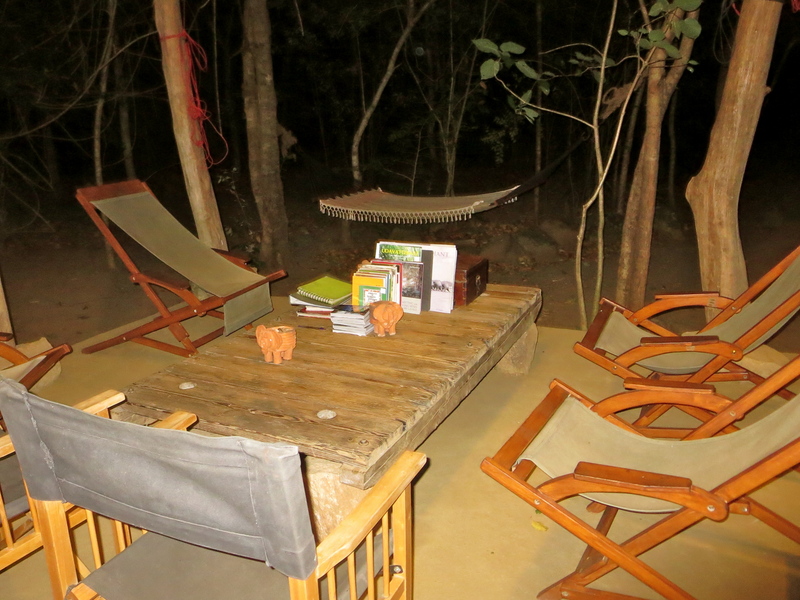 Costs at Galkadawala Forest Lodge: US$ 62 per night, without meals. Great value for money by Sri Lanka standards! What are your impressions of Galkadawala? What was your most memorable experience in Sri Lanka? *Note: We were hosted by Galkadawala Forest Lodge for this leg of our trip. Lucky us! Thanks Sunil. Plan a trip? i missed this one! but i am definitely going back some time! Glad to have given you a reason to go back, Arpitha! Which parts did you visit? Beautiful captures and informative blog about the Lodge (doesn’t look like one). Thanks 🙂 It’s more of an experience than a lodge or anything such! You have to experience it for yourself. Plan to visit Srilanka sometime soon. Thanks for sharing the info about this place. This was such a soothing read. Can’t wait to see Sri Lanka for myself. What about the crocodiles… do they ever bite ? sounds serene! Gonna refer back to your blog soon when I plan to go. and oh the website link doesnt work. Previous Post6 Tips to Break Into Freelance Travel Writing. Next PostDecoding Women Travelling Solo + #WeGoSolo Contest Results.